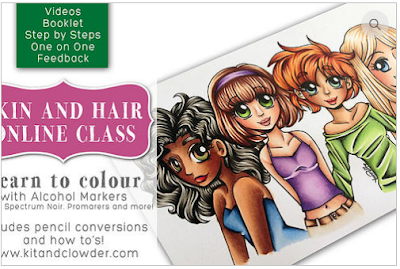 Hi there, today I thought I would give you an insight into the colouring classes that I signed up for with Alyce Keegan and her company Kit and Clowder. I've mentioned it in a couple of my recent posts but decided that you might appreciate a little more information on the classes. The first class I signed up for was the Create and Learn markers class. There is also one for pencils and you can get the both of them together at a discount. For now I'm just doing the marker classes with Alyce. This class costs me $20 australian dollars a month and it's worth every single cent! Alyce is a really good trainer. Prior to these classes I had been taught by youtube. That's a valuable tool but it's not backed up like the classes that Alyce delivers. She explains things so that they make sense and her style of teaching is really easy going but informative. I totally recommend her classes. 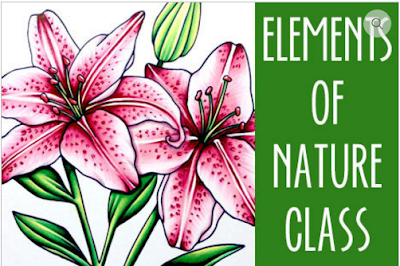 The second class I signed up for was a must because it had flowers in it and I love colouring flowers. 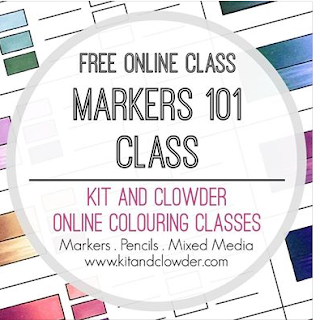 This class is a higher cost of $70 australian dollars, but it has hours and hours of tutorials, digital images galore and every single class always has a printable guide as well! 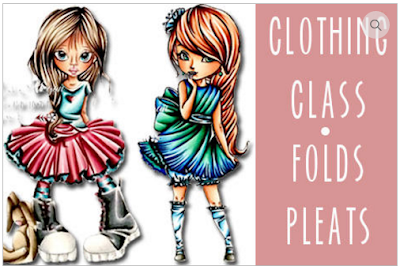 You saw a few items I've coloured in a few posts back that belonged to this class. With my tax refund this year I splashed out and bought the skin and hair and clothing classes. I haven't made any time as yet to have a go at them but I've seen other students postings on the Kit and Clowder facebook group and the results are stunning. 4 - Select Markers 101 and click JOIN to add to your account. Ok, well there's a little more information to whet your appetite and maybe get your colouring skills up to a level you never thought possible before. Being a fellow Clowdie, I totally agree, Karen. 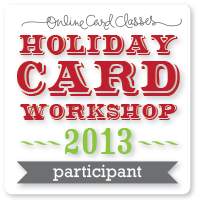 The classes are totally fabulous, and I've learned so much! Sounds wonderful glad you are enjoying the classes and you can see how much you have learnt.